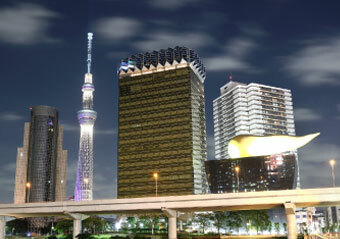 which is a mix of future technology and rich tradition. it is about 1 hour downhill and about 1 hour 20 minutes uphill. and also a "Mecca for Anime." cafes and shops about anime and comic books. 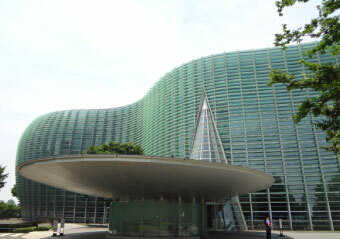 It is in a location that is close to Tsukuba and convenient to visit. 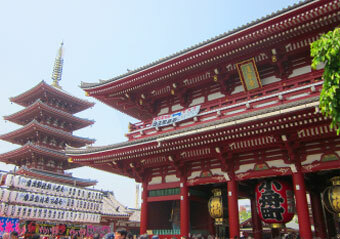 There are various tourist locations such as The Kaminarimon "Thunder Gate" and Senso-ji. 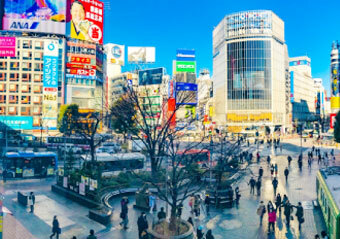 You will find a good amount of Japanese culture that has been passed on for generations, and you will enjoy Japanese confections and rickshaws. 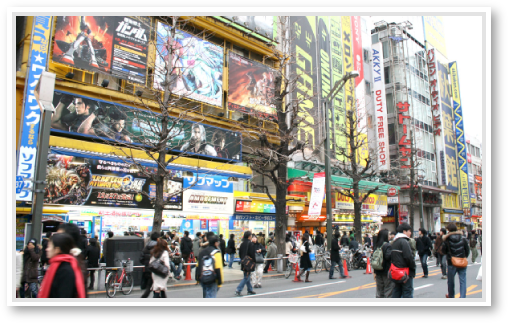 Akihabara is known globally for electronic goods, and also for being a "Mecca for Anime." 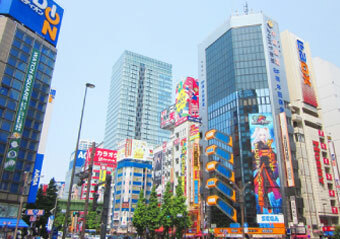 Many people from around the world come here and enjoy visiting anime goods shops and cafes. 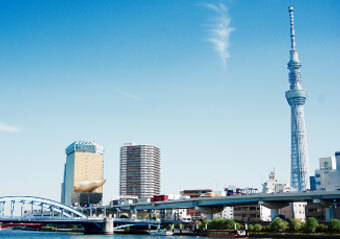 Tokyo Sky Tree opened in 2012. It has been certified by the Guinness Book of World Records as the tallest tower, and the second tallest building in the world. It offers galleries made by the newest technology, tourist attractions, and an aquarium in which you can have fun all day. 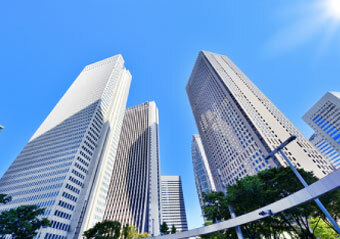 Tokyo is full of buildings created with the latest technology. 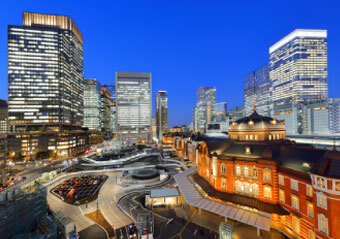 Your senses will be stimulated by just walking in the remodeled Tokyo Station. 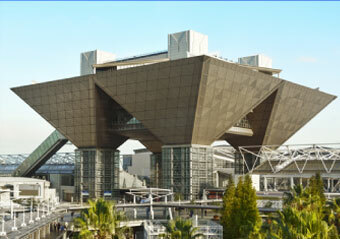 Tokyo Big Sight (Tokyo International Exhibition Center) is used for various events in which conventions by companies and anime festivals are held. 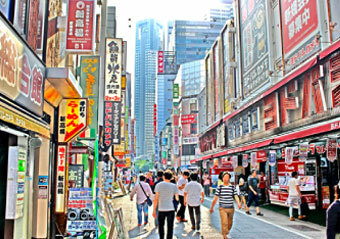 Fashion Towns, Shibuya and Harajuku are popular shopping places for young people where famous global brands gather. 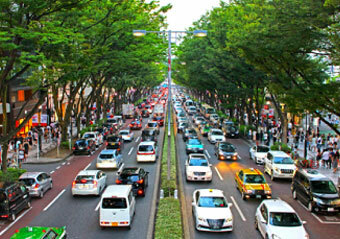 We recommend to visit these areas since they are all close to Tsukuba. Let's Go to Tourist Attractions in Japan! 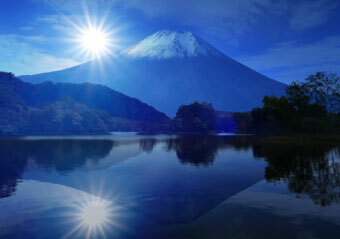 In Japan, Mt. 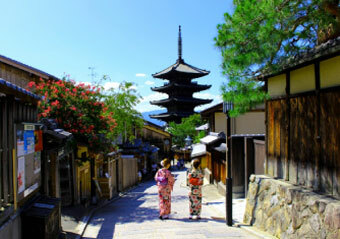 Fuji, Kyoto and Osaka are famous. Even though they are a bit far from Tsukuba, it only takes a few hours by using express buses or bullet trains. 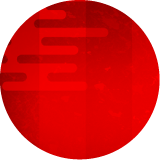 Is a train with maximum operating speed of 320 km/h (200 mph), and the network presently links most major cities such as Hokkaido, Eastern Japan, Toukai, Western Japan and Kyushu. 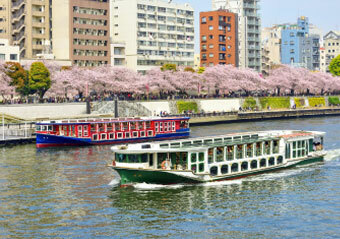 It makes it possible to travel between Tokyo, Osaka and Kyoto.